Is it too early for Christmas? 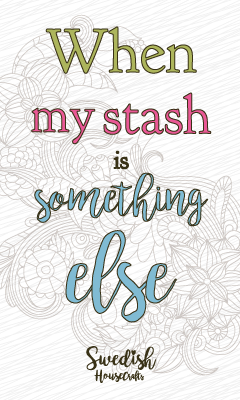 No!, not when you are a crafter, right? 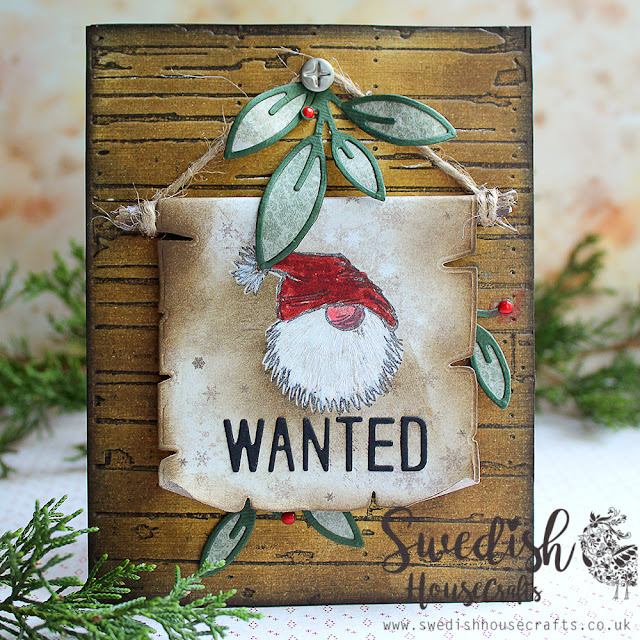 For our #tbt post today I chose this fantastic wanted poster style card by Olga. You can see her original post and of course video right here. 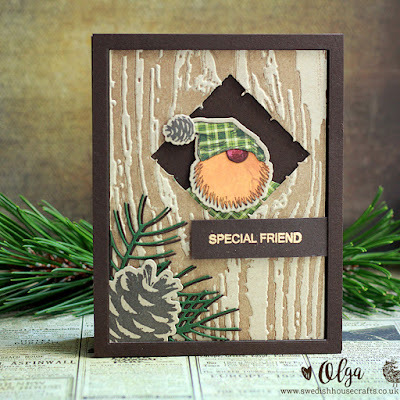 Olga used the wonderful and original Gummiapan Santa head stamp. There is also a matchable Santa head die. If it really is too early for Christmas for you then look how Olga used Santa the other day. Santa is not just for Christmas! You can find the post here.